* Fill up gopher and squirrel holes with stones and dirt. Snakes use those as passageways and will be deterred away from property if the route is closed. 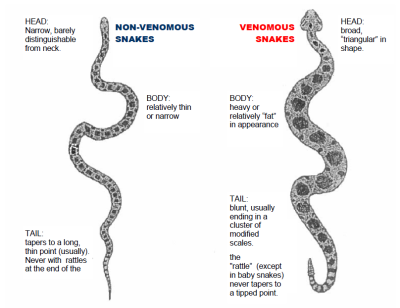 * Snakes like to move through areas where they are not easily detected. Clear any shrubs, broken branches or overgrown bushes surrounding your property. * When clearing concealed areas such as ivy, lawns and untrimmed shrubbery, poke ahead with a long stick. If there’s a snake, it will either attack the stick or glide away quickly. The desire to avoid direct contact is mutual. If you’ve encountered a rattlesnake on your property or public area, call the Mission Viejo Animal Services Center, which serves Aliso Viejo, at 949-470-3045.